The Media(D) have themselves a new crush. A fresh young face who’s arrived on the scene, ready to change the world. Some call her ‘AOC’, but her actual name is Alexandria Ocasio-Cortez. She’s here to party like it’s 1935. No that’s not a typo, and really, we’re only half-kidding. Have you SEEN her ‘New Green Deal‘? If Nightmare and Satire could have a monstrous baby, her plan would be it. While team MAGA has turned our energies to unleashing the rugged individualism and freedom that made America the envy of all the world, she has a different idea. Yes, little kiddies, she’s a real-deal American Bolshevik. And the media are lapping it up, just because she’s a pretty (ish? maybe?) young face. The Left thinks we’re reacting to her youth and energy. They’re convinced we’re terrified of it. They’ve got it all wrong. We’re not afraid of her fresh young face. We’re afraid of the dangerous alloy of arrogance and ignorance that the hollow head behind it has been packed full of. We’re just wondering what the hell has happened in America that anyone is giving ideas that would burn our economy to the ground the time of day, let alone an endorsement. They see her as a flashy political diva with the world on a string. We see her just a little differently. Those ‘Sanpaku’ goggle eyes of hers have something to do with the impression we get. Our own Doug Giles captured the spirit of what we see marvelously. 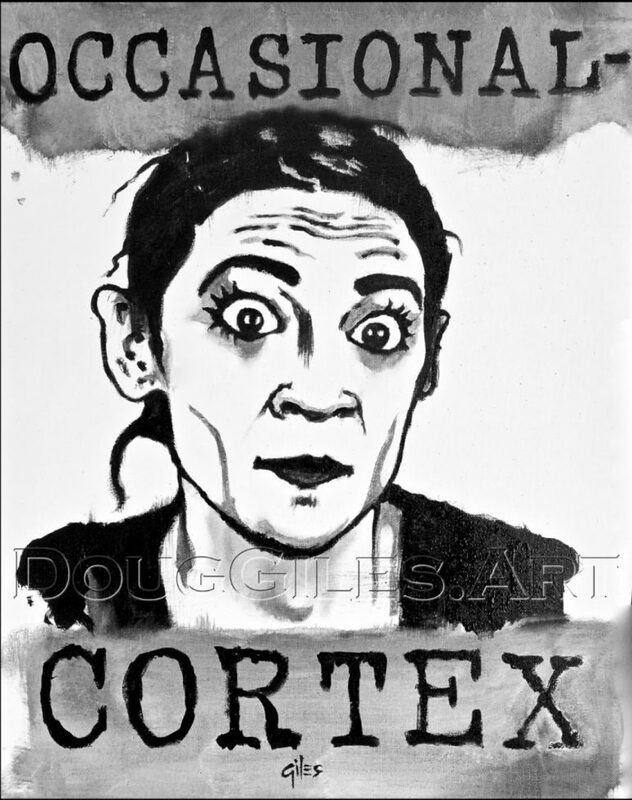 Here’s his latest in a series of Political artwork called “Occasional Cortex“. For someone whose mind is only engaged once in a while, it’s a pretty good nickname. And there are a variety of prints to choose from if you want one for yourself — or, if you prefer — to taunt your leftist aunt who thinks she’s just delicious.